Priority Logistics along with Tapper Transport, MetroPack and Dairy Transport Logistics form the Coda Group. Priority Logistics has a long history in the transport industry dating back to the mid 90’s when it began as R Tucker Ltd. Subsequent acquisitions included the Mount Branch of Weatherell Transport Ltd in 2000 & Alan Smith Container Cartage in 2005. Local businessman Aaron Forster subsequently purchased the company and by 2006 a new brand was needed to illustrate the focus of the company. The word Priority was a natural choice, due to the time sensitive nature of the tasks performed, including just-in-time supply for manufacturing & the punctuality essential for delivering bulk bitumen to roading contractors. It was also felt Priority Logistics correctly placed the stress on the customer’s logistical needs. More recently Priority Logistics became part of Tapper Transport, with both now forming part of the Coda Group. Coda Group is a joint venture between New Zealand’s leading freight gateway, Port of Tauranga, and freight and logistics company Kotahi. This JV amalgamates their complementary domestic logistics businesses, with the ambition to create leaner and efficient pathways between importers and exporters, freight hubs and key New Zealand ports. 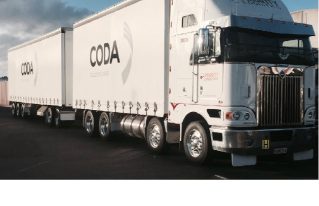 By combining infrastructure assets, technology, cargo volumes and service providers Coda Group provided a full suite of logistics management and operational services that span New Zealand’s road, rail and coastal shipping pathways. 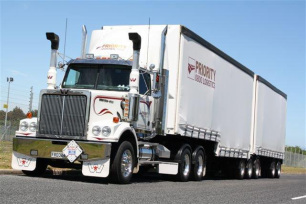 Priority Logistics contributes almost 40 trucks & over 60 staff to the Coda Group. We pride ourselves on an excellent safety record and can-do attitude. To us 'service' means developing whatever system a customer may require. With continued investment in state of the art GPS tracking systems, Computerised operating systems, a fleet of new reliable vehicles and equipment, Priority Logistics aims to keep developing its customer base with clients who require services based close to the Port of Tauranga, utilising the unique mix of machinery and professional services of its team.